Should I Buy Silver Before the June FOMC Meeting? Subject: Should I Buy Silver Before the June FOMC Meeting? Investors are wondering if they should buy silver today (Thursday) now that an interest rate hike from the U.S. Federal Reserve is back on the table for June. According to FOMC meeting minutes from April, many Fed officials believed it would be appropriate to raise interest rates in June. CME FedWatch, a tool that projects rate hike probability, suggests there is a 30% chance the Fed raises interest rates during its June 14-15 meeting. Before the release of the minutes yesterday, the odds were much lower. This is one reason why Money Morning Resource Specialist Peter Krauth expects short-term pullbacks for silver prices in 2016. But for the long term, he still expects the price of silver to soar. We'll get to our silver price prediction shortly. But first, Money Morning wants to make sure investors know why silver prices are falling ahead of a potential June interest rate hike. An ounce of silver sold for as low as $13.67 on Dec. 14. 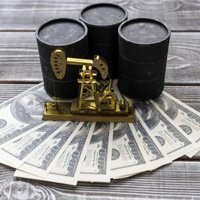 But because of volatile oil prices, poor earnings reports, and devalued currency, investors looked to commodities for safety. On April 29, silver prices climbed all the way to $17.79. That's a 30% increase in just four months. When the Fed raises interest rates, it becomes more expensive for banks to borrow money. In turn, banks then make it more expensive for companies and individuals to borrow money. This is supposed to increase the spending power of fiat currency because it's harder to obtain. Also, the Fed raising interest rates indicates the U.S. economy is healthy. Silver and gold are historically used as protection for portfolios in troubling times. If the economy is healthy, demand for silver will seemingly go down. Silver is still a strong investment in 2016 for one simple reason: supply and demand. For 2015, The Silver Institute reported silver use increased 3.4%. Use increased to 36,407 tonnes, which established a new annual record for silver demand. Investors also purchased 9,092 tonnes of silver bars and bullion in 2015, which was a 24% increase year over year. In 2014, there was a shortage of 2,445 tonnes of silver compared to demand. In 2015, silver shortages reached 4,040 tonnes. That's a 65% increase in shortage in just a year. One of the reasons for the dwindling supply is strong industrial demand. According to The Silver Institute, industrial fabrication demand accounted for as much as 54% of total physical silver demand in 2015. And this industrial demand helps ensure silver has long-term value. The Silver Institute also expects strong demand from the solar energy sector to deplete supply. Solar energy companies use silver in photovoltaics, which converts solar energy into direct current electricity. In 2011, silver demand peaked for solar energy companies at 75.8 Moz (million ounces). The Silver Institute expects demand to surpass those totals in 2016. 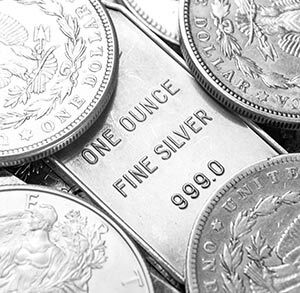 By the end of 2016, Krauth expects silver to trade at $22 per ounce. Silver prices may be volatile in the short term, but buying silver could return gains as high as 33% by the end of 2016. If you plan on buying and holding, silver is an excellent option. The Bottom Line: Ahead of the June FOMC meeting, investors have been asking us if they should buy silver. In the short term, the markets are worried that an interest rate hike will drive down the price of silver. But because of surging demand, silver is still a strong investment. Investors could net gains as high as 33% from today's silver prices.